[Update] According to another report, the Rise of the Tomb Raider 1.06 patch introduces additional input lag, which is quite noticeable in the PS4 Pro modes. We will let you know if issues are widespread as soon as possible. [Original Story] Rise of the Tomb Raider, the latest entry in the Tomb Raider series, has been released last year on Xbox One and PC, but PlayStation 4 owners had to wait quite a bit of time to be able to enjoy Lara Croft’s latest adventure on their console. Unfortunately, the PlayStation 4 version of the game is far from being perfect, but a new update that’s been made available recently manages to fix some of its most annoying issues. The Rise of the Tomb Raider PlayStation 4 1.06 patch comes with several minor fixes as well as a fix for the frame pacing issues that were plaguing this version of the game. Several online reports confirm that the difference is noticeable, so now it’s probably a good time to pick the game. Alongside the PlayStation 4 release, Square Enix released the Rise of the Tomb Raider: 20 Year Celebration on Xbox One and PC. This edition of the game includes the main game as well as all additional content that has been made available for the game in the past few months. Rise of the Tomb Raider: 20 Year Celebration is the most comprehensive version of the award-winning experience, and includes Rise of the Tomb Raider, the new story chapter “Blood Ties”, “Lara’s Nightmare” zombie combat mode, PlayStation VR support for “Blood Ties”, co-op Endurance gameplay, an “Extreme Survivor” difficulty, 5 classic Lara skins, and an outfit and weapon inspired by TR III. It also includes all of the previously released downloadable content such as “Baba Yaga: The Temple of the Witch”, “Cold Darkness Awakened”, 12 outfits, 7 weapons, multiple Expedition Card packs, and more. 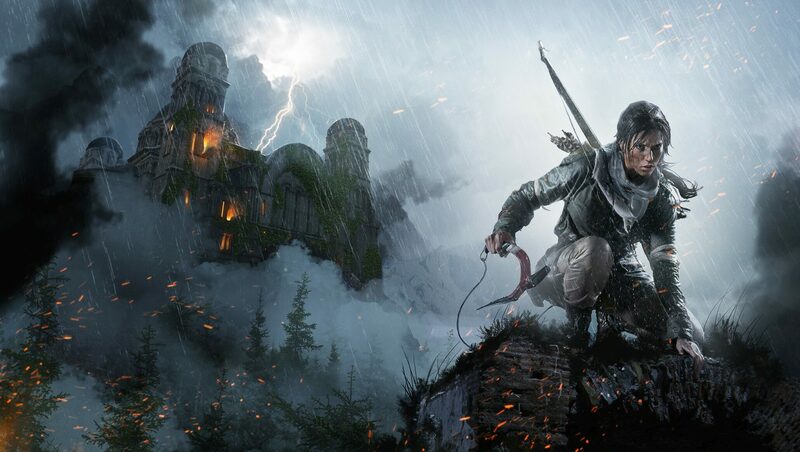 Rise of the Tomb Raider is now available in all regions on PC, PlayStation 4 and Xbox One.